Burton Herman, 84, of Randolph, Massachusetts Hockey Hall of Fame Member, passed away on August 19, 2018. Today, the South Shore Conference is the home of over 400 teams and 6,500 hockey players in Massachusetts. Burt was one of the founding fathers of the South Shore Conference and had spent over 45 years developing and running this hockey league in Massachusetts. In 2004, Burt was inducted into the Massachusetts Hockey Hall of Fame. 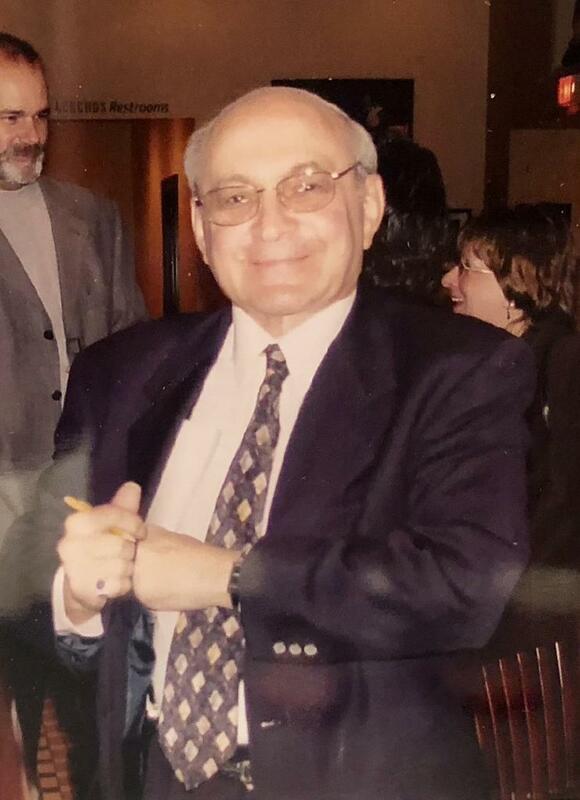 His involvement in Massachusetts hockey began as a coach in the Randolph Youth Hockey program in 1971 and served as president of the league for 40 years. Including, in 2003 where Burt was instrumental in adding a girls division to the South Shore Conference. He was the President and Coach of the South Randolph Little League, was founder of the Philip and Pauline Re Scholarship Fund, Anita Rapp Scholarship Fund and William Strong Scholarship Fund. He also served on the Randolph Board of Recreation. Burt was the devoted son of the late Samuel and Dorothy (Robinson) Herman; the beloved husband of 61 years to Aline (Goldman) Herman; loving father of Scott Herman of Randolph and Lisa O'Brien and her husband Kenny of Plymouth; cherished grandfather of Jenelle Herman of Wakefield; dear brother of Coleman Herman of Dorchester. Chapel service at Schlossberg Memorial Chapel, 824 Washington St., Canton, on Thursday, August 23, 2018, at 10:30 a.m. Interment to follow at Ostro Marshoe Cemetery, 776 Baker St., W. Roxbury. In lieu of flowers, donations may be made to Parkinson's Foundations, Inc., 200 SE 1st Street, Suite 800, Miami, FL 33131, www.Parkinson.org, or a charity of choice. The information posted above was repurposed from the obituary posted by the Patriot Ledger and Schlossberg Solomon Memorial Chapel "Family Owned", SchlossbergChapel.com, 781-828-6990. Burton Herman's Obituary posted online by the Patriot Ledger. 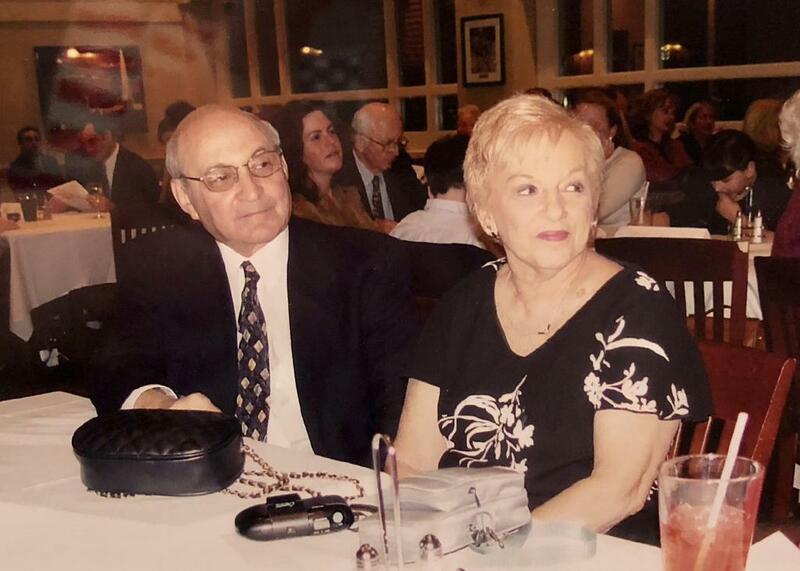 Burt Herman and Aline Herman (wife) at the 2004 Mass Hockey Hall of Fame ceremony at TD Garden. Burt Herman at the 2004 Mass Hockey Hall of Fame ceremony at TD Garden. 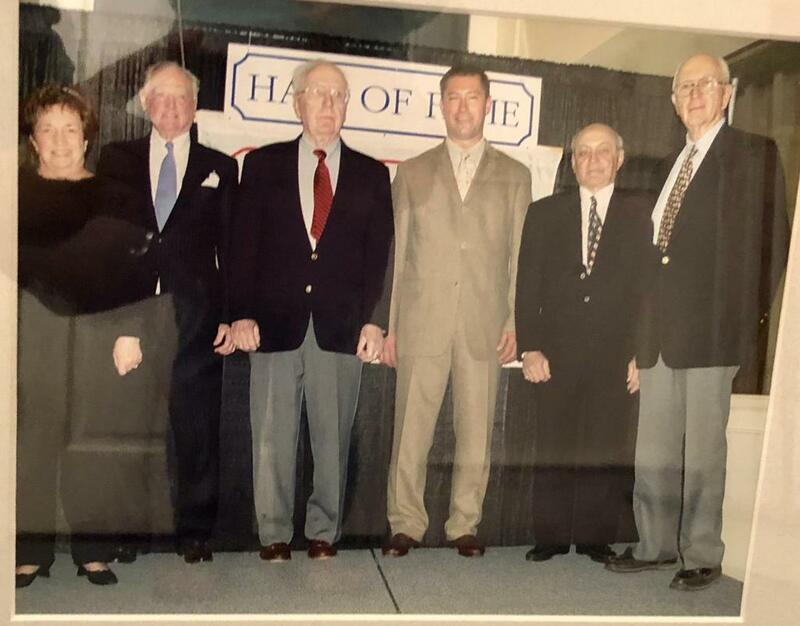 Burt Herman inducted into the 2004 Mass Hockey Hall of Fame at the TD Garden.